Winter has thrown its chilly blanket of ice and snow over parts of the country that rarely experience it. 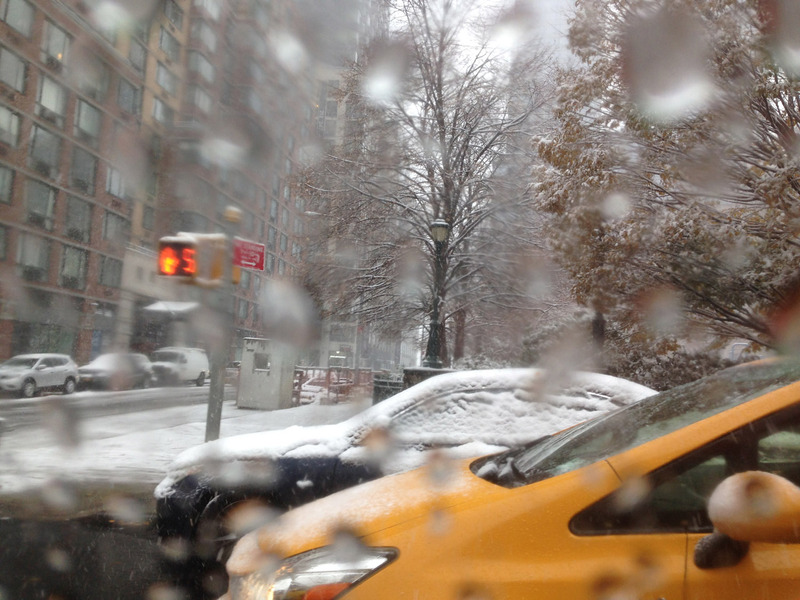 Today I'm sharing my favorite photo of this winter, captured from a taxi during a snowstorm. Looking out through the fogged-up window, the view seemed to capture the essence of a snowy day: muted monotones, indistinct outlines and exciting jolts of the yellows and oranges that mark this as a city street. For a moment, everything was an impressionistic painting instead of a slushy intersection. It's easy to enjoy the scene when you are safely inside looking out.